We’d love your help. 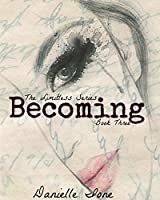 Let us know what’s wrong with this preview of Becoming by Danielle Ione. This book needs to be read by everyone. EVERYONE. It will change your life. Danielle Ione made me fall in love with her previous books, Limitless and Unconventional but Becoming dug itself into my heart and made it its home. Becoming made me wish that Lily and Cambria were real because I'd want them in my life. Lily doesn't know who she is. When you grow up being homeschooled, you miss out on things. Making friends, discovering the world, and learning who you are. 'Gay' isn't something Lily can be This book needs to be read by everyone. EVERYONE. It will change your life. Cambria doesn't want to be anyone's secret. After a tragic event, Cam refuses to be left in the dark; the secret girlfriend. She wants to love and be loved and have the world know it. When she's thrown in Lily's path, she teaches her how to become who she really is. There is nothing wrong with liking someone others tell you you can't like. This book is full of surprises, heartwarming moments, and love. I hope Becoming can touch your life the way it did mine. This is one of my favorite books and if it's not clear enough, I HIGHLY recommend it!!! Gay. Bisexual. Lesbian. These words were never a part of my vocabulary growing up. In fact, those words were something of a sin in my household. 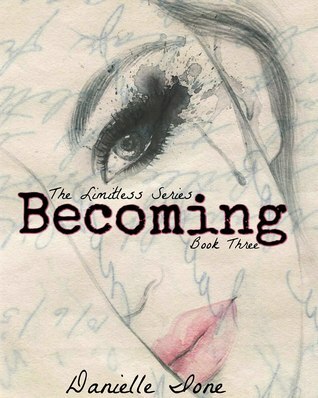 Limitless: Becoming by Danielle Ione is the third book in the Limitless series. We get to see Lily’s story. Lily is tired of acting like the person she is not, it’s time to finally be who she really is. Lily’s roommate Mickey call’s Cambria and invites her to a party in hopes of her connecting with Lily and helping her accept her sexuality. ‘It was an un Gay. Bisexual. Lesbian. These words were never a part of my vocabulary growing up. In fact, those words were something of a sin in my household. ‘It was an uncomfortable and kind of fragile situation, I knew that, but I couldn’t stand to hear of someone else going through that by themselves, even if it was a decision they made themselves. I was in awe of Danielle Ione's writing for the previous books in this series but she has cemented her place as a truly talented author with this instalment. This is one of this year's must reads for me as it takes an important issue and turns it into a beautiful story of self-discovery and finding your self-worth and self-confidence. Lily is struggling with her sexuality and who she is. She hides herself away from the world in an attempt to deal with it as it conflicts greatly in her mind with t I was in awe of Danielle Ione's writing for the previous books in this series but she has cemented her place as a truly talented author with this instalment. This is one of this year's must reads for me as it takes an important issue and turns it into a beautiful story of self-discovery and finding your self-worth and self-confidence. Lily is struggling with her sexuality and who she is. She hides herself away from the world in an attempt to deal with it as it conflicts greatly in her mind with the way that she has been brought up. In meeting Cambria she starts to accept who she is and become confident in who she is as well. Whilst Cambria helps Lily she is struggling herself with events from her past, which will bring her life on a collision course with the characters met in previous instalments. This was beautiful, emotional and oh so amazing. It was heart-warming and heart-breaking. There aren't enough words to truly express how much this book touched me and how it made me feel while reading it. It is one of those books that will stay with you long after it is finished and will keep you thinking.